Any good language course will, at some point, focus on writing skills. Whether it’s simple, short notes, or longer essays and editorials. A lot of this might depend on the learner’s real world needs. Maybe they’re doing a course tailored for their job, in which case they might need direction on how to write business or official documents. On the other hand, they might have no idea at all about the real world applications of writing skills, or how they might be useful in the future. Their native language may employ a completely different script, making it necessary to start with basic skills such as the alphabet. They may even be illiterate in their own language, having no experience of writing at all. You could also find that students resist learning how to write in English, preferring instead to focus on conversation, grammar, and vocabulary. A good place to start is by asking learners what type of things they usually write. Not just for their job or studies, you might even find they don’t do much of this! But also day to day writing, such as text messages or emails. Getting an idea of what they usually write can be useful in determining where to start! If learners have little to no experience, it would be illogical to start with a 3 page essay! Try to also touch on the difference between formal and informal writing. This is especially useful if the class are aiming to pass an official exam. Not just the general tone of the writing, but also the specific rules that are associated with each style. For example, here are some guidelines that Cambridge Assessment English uses to distinguish between the two. (!) They do allow Latin abbreviations like ‘ETC’. I don’t really like any abbreviation in formal writing, personally. All of the above is allowed! With exceptions of course, too much repetition is never good and good paragraphing is always appreciated. So try to introduce them to these at some point. If only to illustrate that writing is not as easy as they might imagine. I often have the problem of motivating students, especially at the beginning of the course. 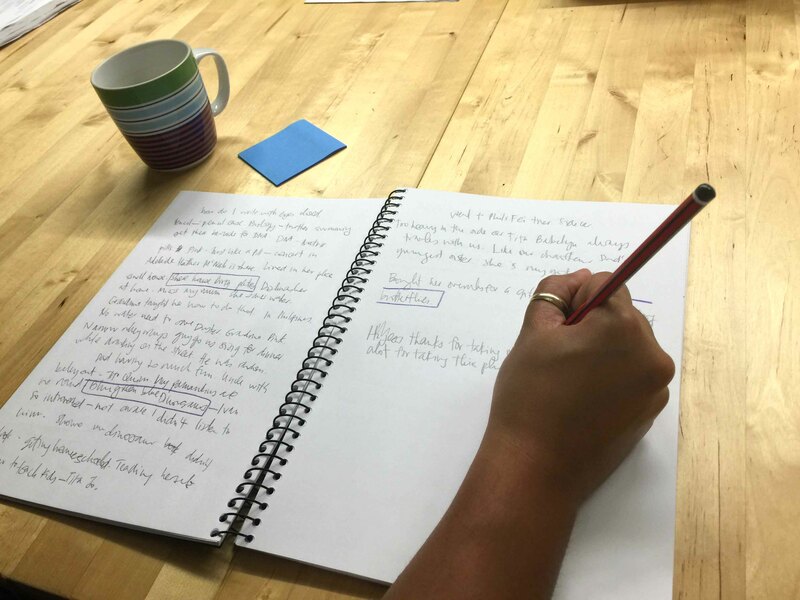 A lot of practice is required for them to bring their writing up to scratch, and they need to realise this before a frantic effort to improve later on becomes necessary. A student will often, for lack of a better word, completely ignore the question they are given. They start out with good intentions, but stray from the idea and end up with a piece of writing that doesn’t address the main point. This will seriously affect their scores. Always encourage a student to read and reread the writing after they have finished it and to relate their last sentence to their very first. Depending on the length of the writing and how much time they have, you might also encourage learners to produce a short plan of action. You can inspect the first few and then leave it to the good judgement on whether it helps them or not. But it can be enormously helpful to hammer out the purpose and intention of every section / paragraph before beginning. Have they answered the question? Can they put a tick next to all of the things they needed to include? Did they develop these ideas adequately? If necessary, do they come to a definitive conclusion? Another important one, and remember we are talking mostly about longer pieces of writing here, rather than Whatsapp messages or simple emails. An improperly structured piece of writing can be difficult to read and therefore gives a bad impression to an employer, examiner, and other possible readers. Your job here is essential. You need to inform students on the proper way to structure different pieces of writing. An official report, for example, might have a title, headings for each paragraph, a proper introduction and conclusion, and maybe even a section for any research carried out. Students need to have some idea of the structures, in order to write it well. The chances are that even motivated students will rely on your knowledge rather than research the format themselves. A variety of sentence lengths and connectors? Have they included linking words and similar expressions? This word covers a huge area. It includes grammar, vocabulary, and spelling, among other things. It is probably the most difficult area to improve in a short time, because it brings together the skills of the whole course. Students will often have a hard time including all of the elements they need to, in such a short space of time. Also, teachers or examiners might put a restriction on the permitted number of words, further limiting their creativity. Repetition – It’s very important that learners are urged not to repeat words or ideas too often, it makes the writing look unoriginal and rushed. Spelling – Students will often have problems with this, as English spelling can be very unpredictable and difficult for them. Have students write a list, throughout the year if possible, of the words that they have problems with. While they may find the language in general difficult, they will almost always have a specific number of words that they personally find challenging. This way, they can focus more on the spellings of those particular words, it really works! Try to focus your teaching, also on words that they find tough to spell. Perhaps reassure them by saying that most English people have difficulties with some words! Did they check their spelling? A range of different grammatical structures? Have they tried to use their own words? Did they check for repeated words?